A license is required to operate an amateur radio station. 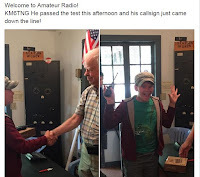 Amateur Radio Licenses in the United States are granted by the Federal Communications Commission (FCC) after passing an exam at a Volunteer Exam (VE) session. This class is part of the upcoming Nevada Section Amateur Radio Convention at Boomtown in Reno over the weekend of July 21. NVCON will include forums, a tradeshow, speakers, upgrade testing, and a Hamswap. There will also be a one Day FastClass, an easy way for prospective hams to review the test questions before taking their exam. This is an easy way for people to have a fun weekend in Reno and get their Ham License! Class cost is $35 + $15 additional test cost. For full information, go to NVCON.org and go to "One Day Tech Class." There's info on the study material, a website with sample tests, and even a site with free learning material! I use the Gordon West book which I think is much easier than the ARRL material. The new book is available from www.W5YI.org. Special Note: The question pool changes on July 1 so be sure to study the 2018-2022 material. There's lots of the Old material around that will be outdated on June 30! Be sure to study the 2018-2022 material! Section member Joe Cardoza, KA6ROM, announces that his Citrus Heights VE Team will conduct their amateur radio Ham-Cram Technician License training and examinations on the fourth Saturday every other month at starting at 8:45 am at the LDS Church, at 7950 Hazel Ave, Orangevale, CA. This is the intersection of Hazel and Cherry Ave. Contact Joe Cardoza, KA6ROM, 916-725-6443 or cardozas@comcast.net to register. For information contact Steve Porten, KN6OX at steve@kn6ox.net. 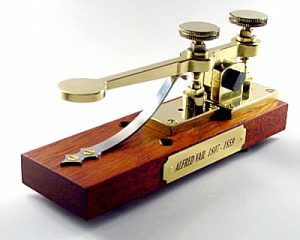 The Samuel F Morse ARC will once again be running our 10-week CW for beginner’s course. This course will be held once a week for 2 hours (7 PM until 9 PM) each Wednesday evening in Carmichael. If you or someone you know are interested in learning Morse Code we encourage you to sign up NOW. You do NOT need to be a licensed operator to join our class. We will begin Wednesday evening September 5th (ending November 14th). 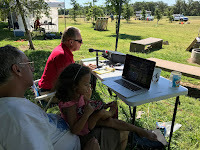 This month's news features reports, photos and videos from ARRL Field Day activities. 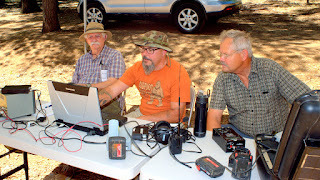 Radio amateurs throughout the Section braved the heat. Les Cobb, W6TEE, Max Soucia, N1KGS, Roger, KI6FYF and I were delighted to visit many of the Field Day sites throughout our section. Be sure to click on the "Field Day Photos" links below. Thanks to the efforts of the many amateur radio operators and clubs who helped this year's ARRL Field Day continue to be an outstanding public exposition and exercise of amateur radio's emergency communication response capabilities. Thanks to all who participated in our June 21 Section-wide nets on 2m, 60m and 75m. This website is visited most during the first week of each month, but do check back as it is often updated with late breaking news. ARRL Sacramento Valley Section Nets are conducted only on the third Thursday of the month when announced, following the 7 pm Pacific Time Yuba-Sutter ARES net on the WD6AXM 146.085 MHz FM repeater, followed by the HF Section Net on 3880 kHz LSB +/- 3 kHz. During spring and summer months the HF net may be conducted on 5330.5 kHz USB as propagation permits. Pacificon 2018 is right around the corner. I will be there checking WAS, VUCC, and DXCC cards at the NCDXC table. Swap on Sunday. Field day is coming soon, June 23-24, 2018 . Find your local club and go out and have fun. 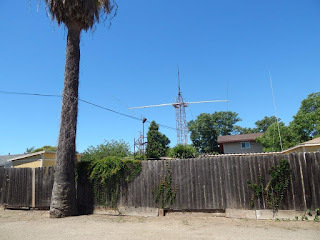 On July 4 the Berryessa Amateur Radio Club received Cal OES photos of the County Fire damage to the repeater site showing the melted antennas and coax cables. 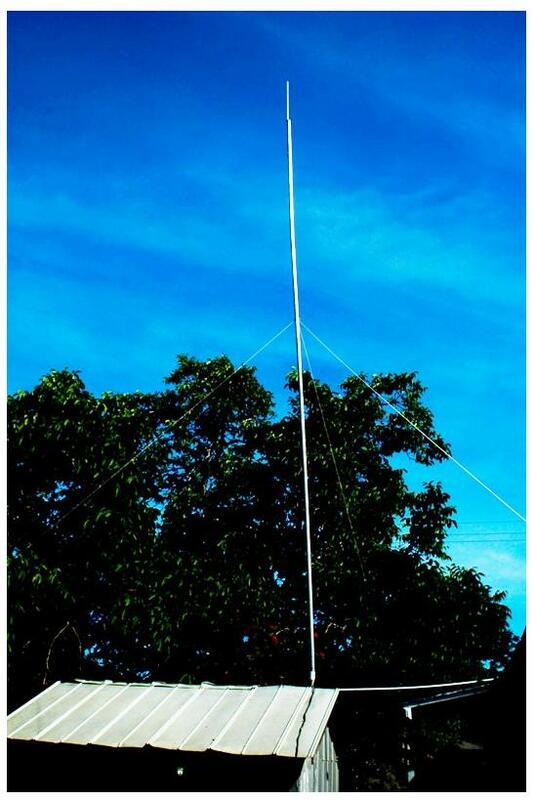 By July 8 Thanks to major efforts of Bill, K6KN, and Ken, K6WLS, KBERR/BERRY packet node were back on the air using a temporary antenna & coax, & shifting the functioning solar to KBERR radio, it was ready for use. The repeater was next for repair. By July 12 the KE6YUV Repeater was back on the air with a temporary setup. K6WLS and K6KN went back up the hill Wednesday and got the repeater running on battery only. Thursday, K6WLS went back up and connected the solar from the BBS nodes (BERR37/BERR) to the FM repeater (since BERR37 and BERR are down waiting for new coax). He also removed a lot of the burnt-up equipment from the vault roof and tower. Thanks Ken !!! So the KE6YUV FM repeater is back on the air on temporary coax and solar power. It should run indefinitely. We will need to install new hardline for all antennas. BERR37 and BERR are awaiting coax to test the serviceability of their Telewave antennas. Read the full story in the ARRL News. Hi Sac Valley Hams. I’m the newly appointed section Affiliated Club Coordinator. I’ve been a ham for 28 years or there about. I relocated from northern Maine in 2009 after I retired where I was Section Emergency Coordinator and I helped write and develop the original EC 101 course. I was an online mentor for EmComm for several years. I’m a big cheerleader for Amateur Radio’s ability to assist in emergencies when nothing else works. As such I’m a proponent of ARRL affiliation for the support we can give it in return for the technical and particularly legislative support they provide. In the present atmosphere of monetizing all aspects of society we will be feeling more and more pressure to privatize the EM spectrum including our slivers of it. Witness the development and expansion of 5G services. Protection and expansion of our spectrum is where we as individual hams can benefit from League activity as we support them with sheer numbers through membership and club affiliation. I’ll be contacting each ARRL affiliated club in the Sacramento Valley Section over the coming weeks to update your club information and to help bring your League affiliation up to date if needed. I also want to visit each club over the coming months for an eyeball QSO. There is much of Northern California I have not seen and I’m looking forward to the travel. In the meantime, if you want assistance in utilizing the benefits of affiliation such as club insurance, or updating your Special Service Club status or have questions about any of these issues or just want to rag chew my cell number is (916) 607 6524 and my email is N1KGS@arrl.net. KI6YUK, DL "Larry" Trotter: The month started out with the SBTS Lost & Found Bike Event, 45, 60 and 100 mile rides, all done on Simplex (we were all pretty surprised). Since May, we have been gearing-up for a 3-County (Plumas, Lassen and Sierra) EmComm Drill with Health Care facilities, a first for the Northern Sierras and Southern Cascade counties: over 8,000 square miles and about 58,000 people now have back-up communications, in the event of a CommDark scenario. Turned out to be a success! More work ahead to develop and fine-tune, but it's a good start. Our VEs gave a Tech Class and with an assist from SNARS, gave a Technician Test to 13 folks on the 30th, 11 of whom passed plus one General to Amateur Extra Class. The youngest Tech was 10 years old! (Start 'em early) Many Thanks to our Instructors and VEs for a great Session. A long and full month on the Plumas! KJ6OCL, KARL FISHER: This month we provided communications for two horse events and one bicycle event. N5TEN, Scott A. Schlefstein: June 26th: A Tri-County Emergency Radio Comms drill was activated, with Plumas ARS, Sierra County Offices, Sierra County Public Health Emergency Preparedness Coordinator, Loyalton Skilled Nursing Facility, Eastern Plumas Hospital, Lassen ARC and the Sierra County EC (N5TEN) on simplex from Sierra Brooks HF Station/Repeater site. N5TEN was able to communicate with Plumas ARC in Quincy California via 146.550, testing signal with 10 watts to 160 watts off a 20 element yagi at 100% pure communications quality both ways. Sierra Brooks was also in communication with the Loyalton Hospital ham station, operated by John Mitchell W1RK of Calpine (Sierra County). The drill was a success and insurance for when EMS and law enforcement lose all communications, dispatch, and telephones in the area during a severe storm, fire, or other emergency event. I want to thank Plumas ARC and Larry Trotter KI6YUK for coordinating the event. We deployed the ARES Comm Trailer at the Modoc Sportsman Expo Sat June 16th in Alturas, CA. We were able to talk to some of the public about the hobby but also gave the tour to several first responders. Jim/N7JIL talking Modoc County Sheriff Elect “Tex” Dowdy about Winlink. Chad/N5BMU was showing “Sammy” Ham Radio by talking to Deanna/W6DWS on the local repeater with an HT at the EXPO. Who knows…. Sam may get his license in a few years! On June 18th-20 Jim/N7JIL and Marie/N6REE attended the 2018 Emergency Preparedness Workshop in Sacramento. This event is put on by the CA Public Health Dept. and the CA Emergency Medical Services Authority. There was a lot of good lessons learned and shared with us due to all the fires, hurricanes and mud slides this year. Jim Linden/N7JIL did a 1 hour break out session there about Ham Radio with an emphasis on Winlink. The public agencies represented there really understood the concept of Winlink and will go back to their counties to ask if their local hams are familiar with Winlink. So don’t be surprised if you get some new contacts with folks in the Health Care business. On April 28th Placer County ARES held a face to face meeting, with 21 members and guests. The guest speaker was Ben Green WD8CZP Assistant Chief Tactical Communications CaOES. Ben spoke about the role of CalOES in large disasters and events, and the role of volunteers including HAMS in these activities. The next Sacramento County ARES training and meeting is scheduled for Saturday July 14, 2018 from 9:00 am to 12:00 noon at the Sacramento Sheriff's Central Division, 7000 65th Street, Sacramento, CA 95823. Update May 4, 2018 - In the light of unanticipated delays in the approval and implementation of revisions to the Official Observer program, ARRL HQ will resume accepting a limited number of Official Observer appointments under the current rules and standards. Any new OO appointments are being made with the understanding that a new program is coming, with new requirements and new standards for OOs. Reference: ARRL Executive Committee April 21 Meeting Minutes Item 16. The club had a very successful Field Day event. We were given a travel trailer to be used as a disaster communications center and put it into service for Field Day. In an effort to garner more public exposure, we decided to use a public site for our Field Day station and with the cooperation of our local WalMart store were able to set up in their parking lot. This worked well and accomplished both communication activity as well as community interest. Lots of HEAT, lots of sweat, lots of antennas in the air, and lots of tired people. Sounds like another Field Day in the books. Our Field Day for 2018 is now history, it was not the best we have ever had but it was not the worst either. While the HEAT is/was a big factor, our participation could have been a lot better. At our next club meeting we will have a discussion on ways to make it better and have more participation in the future. In July our own Kevin Hooke KK6DCT will demonstrate the amazing feats of the new popular FT8 digital mode! In August we are having our Mobile Station and GO Kit show so bring your mobile installations and your go kits for show and tell. In September our home brew night and we will have Money $$ prize for first and Second and a first prize in newbie (ham for less than a year) category. Last year we had some great projects using Raspberry Pi, antenna projects, and go kits. So what will we have this year? October is our White Elephant sale so start cleaning out your closets and garages of any unused items for the sale. In November we have our elections so we need to start thinking who we will want to lead us in the next year. I will NOT be able to do another year as my health is beginning to restrict things that I do. We are trying to get Kevin Amey (AA6KA) to do a Digital Voice mode presentation. Here are a few shots from our Field Day in Nyack. Photos by Mike, KK6GLP, V.P. Meetings - Monthly Members second Friday Monthly at Auburn City Hall, Rose Room. Everyone welcome. Breakfast last Saturday Monthly at Mel's off 49 in Auburn. Nets - Thursday night at 7:30 on the W6EK repeater system is the weekly club net. Every 1st and 3rd Wednesday is the Elmer Net. Please join us. Groups.io - Dennis, WU6X has converted us from the Yahoo Group to the Group.io. This allows a good forum for events, notices, files and database. There are now 105 members. VE Exams - Every 1st Saturday each month at Raley's Granite Bay. Starts at 8am. Walk ins welcome. 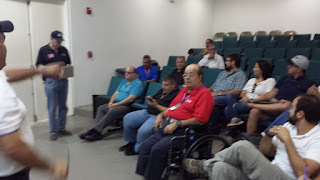 Contact is Al, NI2U at vechair2015@w6ek.org. The Plumas Amateur Radio Club (PARC) has been working for about 10 years now, placing radios, power supplies, coax and antennas at our 3 hospitals in Plumas County, to provide EmComm. Last year, our neighbor Sierra County experienced a CommDark situation, losing landline, cell and internet service at their Loyalton Skilled Nursing Facility (SNF). Soon after, the Club, working with LeTina Vanetti of Sierra County Emergency Preparedness, set up a complete Dual-Band/Dual-Display Station in the SNF, which they purchased. We also set up a Ham Class and Test in Loyalton, with help from our friends from SNARS (Sierra Nevada Amateur Radio Society) over in Reno, which brought new Techs into the fold. Around March of 2018, PARC/ARES learned of a FEMA grant funding requirement for Plumas County, that hospitals have an alternate form of Backup Emergency Communication. Our County Public Health Agency's Lori Beatley, chose Amateur Radio. Since early May of 2018, we have been steadily working toward developing resources to get our EmComm system up and running for our first Drill on 26 June 2018. Our three Hospitals in Plumas County, the Loyalton SNF in Sierra County and Lassen County's Northeastern Health Care Clinic along with Banner-Lassen Hospital, will connect on VHF for the Drill. 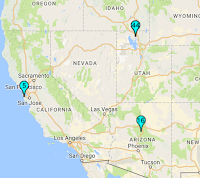 We are located in a mountainous area in Northeastern California (Northern Sierras) that covers over 8,000 square miles and a population of about 58,000 people. As a note, with the exception of Loyalton's SNF, our equipment is all older, some radios dating back to 1984. Our next goal is to upgrade to dual-band/dual-display radios to cover 2 frequencies simultaneously. This Drill will likely require utilizing at least 2 repeaters and a handful of Simplex frequencies to accomplish the goal of connecting our three counties in what's known as the Tri-County Health Care Coalition (TriHCC). K9JM - Jim will give us the details on his DXpediton to Spratly Island. Jim is an experienced DX'er and CW operator. Come and hear how the "big boys play". Holiday Raffle: Tickets for the Holiday Raffle will go on sale starting with the July 9th Meeting. Tickets this year will be limited to 200 so plan on making your purchase early as we expect a sellout. Tickets again will be $5.00 each. The prize this year will be a complete 2 meter mobile installation package. Details will be announced at the July 9th meeting. Many in our club have attended Field Day many times. Some of us, including me, attended our first this year and I believe we brought honor to PARS. We organized equipment and food, were perhaps a bit unorganized on-site, but looking at the stars at night and helping several visitors better understand radio was time well spent. Thanks to those that participated and those that cheered us on that were not able to attend. I have already modified my inventory list for Field Day 2019; count me in! Spring has sprung and is headed into Summer, and Summer in Siskiyou County means public service events! A dedicated troop of volunteers from the club have been teaching a ham radio technician level class at Sisson Elementary School and the final (licensing) exam was held on May 29, 2018 at the clubhouse. We are proud to say that one of our students worked hard and earned his ticket! Please join MSARC in welcoming Jake, KM6TNG (kilo mike six the next generation) into the world of ham radio. Huge props to the hams who volunteered their time to make this class happen: KD2JLY, KD6MC, WA6KJV, KI6LIT, KX6MMM, and NR6J! We have been invited back to the school to teach a full year course starting in Fall. The attached photo shows former Mt. Shasta Mayor and founder of Snowcrest ISP, Dennis Engdahl - NR6J, congratulating Jake on his achievement and gifting him with his first ham radio. Thank you again for an amazing Field Day event! Inside this month's newsletter we recap the event as well as give our Field Day 2018 results. Also, you will find a summary of N6ADT's club presentation on Direction Finding along with other helpful information about the club and it's upcoming activities. I hope that you all enjoy the newsletter. If you have any questions, comments or would like to add something to our webpage, or next months newsletter please be sure to email us at this address. Once again the club participated in another successful ARRL Field Day Event. We worked as an 8A station in the Sacramento Valley (SV). The weather was great and band conditoins were not too bad. Thanks to all who came up to help and participate. Here are a few pictures that were taken at the event. I'll post our scores when I get them. Starting June 2018 the general membership meeting location will move to the Marysville United Methodist Church Assembly Hall at 730 D Street, Marysville. The Mini-Field Day at Live Oak High School on April 28th was a success. to see pictures of the event visit the club's Facebook Page. If you are not a member of our Facebook Group, just request membership and Kevin or Chris will add you to the group, or, go to this photo page. Eleanor Knox, past ARES Emergency Coordinator and long time member and net control of the Yuba-Sutter ARC became a Silent Key on Monday June 18. The OARS regular monthly meeting will take place Friday, 13 July 2018, 7 pm, at St. Paul’s Parish Hall, 1430 Pine Street in Oroville. The doors will open at 6 pm for a social hour prior to the meeting. St. Paul’s has advised me that the Parish Hall flooring is to be redone, starting 6 August, so the club will need to find an alternate venue for (just) next month. Any ideas or suggestions will be welcome at this Friday’s meeting. Hope all can attend. Unfortunately, due to circumstances beyond my control, including the club's computer crashing, there will be no July meeting of the SOTARS/QCWA combined radio groups. Hopefully things will all be straightened out prior to the August meeting. The meeting is usually at: Denny's Restaurant, 7900 College Town Drive, Sacramento. Phone (916) 383-7071, Located at the southwest corner of Howe Ave. and College Town Drive one block North of Highway 50. The next meeting for The North Hills Radio Club will take place on Tuesday evening, July 17, 2018. This month's presentation will be about Ham Radio Go Kits. Kim Scheidel, amateur call sign KE6RKX will do a presentation on his go kit! Come see how it's done and bring your kit to show, and your questions for the group. Greetings to all club members and guests. It’s almost Independence Day and I want to thank you for your service this club and to this great country. I hope you find the club newsletters and ‘Prez Says” message useful and informative. Over the last couple of months there has been great work on the new club website which can be found at this link < https://garshamradio.org/ > and the club Facebook page at < https://www.facebook.com/KJ6HCG/ >. I want to thank the following for their hard work on these two projects; Rick Hubbard, KI6VOS; Phil Zabell, KI6SMN; and Michael Maddalena, KJ6KIZ. Much work has been done on these two sites and they will continue to grow and become much more useful in the months ahead. So give these two new sites a visit, share with friends and family, and tell me what you think. Ah!, as in refreshing. Field Day 2018 is now past us and it went much different than planned due to the high temper- atures and wind storm we experienced here in Norcal. It was decided at last minute to move the Field Day site to the QTH of KF6OBI. One, the Disaster Response Trailer was already located there and two, it would make it easier for most club members to visit. Phil, KI6SMN was the main operator. Although we had two HF transmitters and antenna systems to use there was a common mode RF problem that pre- vented the use of the two radios at the same time. This problem was across all the bands. We operated as 2ASV. Phil, KI6SMN, logged some 14 contacts across the 20, 40, and 80 meter bands where the conditions varied but were not too bad thanks to some Sun spots that showed up the day before. Please visit our Facebook page to see the maps Phil produced to show just where these contacts were located. We used two new antennas, the first was an End Fed Half Wave by MyAntennas, model EFHW-8010-1K, which was flown West to East at about 22 feet more or less. The second antenna an Off Center Fed Dipole, Windom if you prefer, was a BUXCOMM model 802134 this one was flown in a semi-inverted V arrangement. Its ends were about 10 and 1⁄2 feet high and the center was at 15 feet, suspended on a fiberglass push-up mast. As we now focus all our attention on Steakbake September, pun intended, and with warmer months ahead please re- member to stay hydrated and seek cooler climes if you feel you are getting overheated. At this month’s membership meeting we will be starting the process, and formalizing plans, for this years Steakbake event, which will be held on the 8th of September 2018, at the Fellowship Hall in Artois, CA. We are selling raffle tickets during our membership meeting this month and for the next two months will be visiting GEARS and OARS to show off the radio and sell even more tickets. Tickets are one for $5.00 or 5 for $20.00. The donated prize is the AnyTone AT-D868UV, Digital DMR / Analog Radio. Will have the radio for all to see at this months meeting. We will be meeting at the Artois Lutheran Fellowship Hall at 6:30pm, on Thursday, the 12th of July. Late arrivals and guests are always welcome. So be safe in all you do and may you all have many blessings in the days ahead! This newsletter will, unfortunately be brief. Our Editor, Dorothy Post, must return to Washington due to the re-hospitalization of her brother who this time is experiencing even more serious issues. She is leaving almost immediately, and tells me she will stay as long as required. If there are those among you who wish to assume the duties of publishing a GEARS Radiator newsletter each month, please contact me, otherwise we will wait until Dj returns. [Modesty prohibits me from mentioning that...] KHSL-TV ran a segment about Field Day which is now included as a Post on https://gearsw6rhc.com/khsl-covered-gears-field-day-2018/ Hope this helps! Rich and Ron's Field Day at 38°31'51.6"N 120°24'43.2"W, Pioneer, CA, KJ6HRO. Operators Ron Monnie KJ6HRO, Rich Leaman KJ6SII & Michelle Leaman KJ6TUA operated from California State Highway 88, Pioneer, CA. Four clubs came together to operate Field Day 2018 as W6YAR. The UC Davis Amateur Radio Communication Society (UCDARCS), the Sacramento Amateur Radio Club (SARC), the Yolo Amateur Radio Society / Mt. Vaca Radio Club (YARS/MVRC), and Yolo County ARES operated from the UC Davis campus right next to the Special Olympics events. We operated all 24 hours using two stations for SSB and CW along with a GOTA station switching between five different antennas. The heat and the wind did not deter the operators nor visitors from enjoying the event. A huge thank you to all of the operators and food organizers who helped to make this Field Day successful. The Yolo Amateur Radio Society/Mt Vaca Radio Club, UC Davis Amateur Radio Club, Sacramento Amateur Radio Club and Yolo County ARES joined together for 2018 Field Day on the UC Davis Campus. 15 operators attended and 17 visitors came by. Gary, WA6TQJ, President, Yolo Amateur Radio Society/Mt Vaca Radio Club. The meeting adjourned at 12 noon as we proceeded to a lunch at the Bambu Burger restaurant in Vega Baja. We connected Hector Roman, KP4AMU, of the San Juan VA Medical Center with Don Righello, W6PJJ, trustee of the California VA Amateur Radio Emergency Service K6VAH, for assistance in establishing a similar amateur radio station at the San Juan VA Medical Center which lacked outside communications during the three weeks following Hurricane Maria. The alarm went up once again as Hurricane Beryl took aim at Puerto Rico where many are still struggling to recover from the devastation of Hurricane Maria. With Beryl predicted to graze the southern coast of the island on July 9, Gov. Ricardo Rosselló declared a state of emergency and ordered closure of schools and government offices. Fortunately, Beryl had been degraded to a tropical storm by the 9th. The island did experience intermittent torrential rains, gale force gusty winds and several flash floods. The eastern coast of the island was mainly affected with over 47,000 losing electric power and 8,600 losing water. Teams of utility workers promptly responded to restore service. The late Spring Sporadic-E Openings on 6 Meters are still alive a sometimes strong, especially the past few days. 6 Meters has been open during the morning hours but, QSO chatter on the calling frequency makes it very difficult to listen for weak signals. It never ceases to amaze me, how Amateurs need to be reminded every year, year after year, that 50.125 MHz is the National SSB Calling Frequency…… NOT the National QSO frequency. If Amateurs would abide by this protocol, more contacts could be made as the calling frequency would be available for its intended purpose. Keith has a vintage station, a restored Collins R-590A and a Johnson Ranger that he will put on the air. He also sent this photo at the right of a three element 40 meter Yagi that he recently built and mounted atop his tower. "The boom is 40 feet long, the driven element is 15 feet in front of reflector. It is made from three different commercial ham radio antennas." I have been reading about the 43’ vertical and how great it is. So, I looked in the ads and saw a couple of them. The price just about put me down. $370.00 for a piece of tubing with a capacitor and inductor at the bottom - no way would I pay that for something that I could make. So, I started to make my 43’ vertical with some of my improvements to it. I started with a 29’ piece of 2 inch aluminum tubing which I cleaned up with steel wool. Then, to bring it to 43’, I added a piece of 1/2 inch aluminum tubing - 3’ 8’’. I painted the outside of the 2 pieces of tubing with a non-conductive paint. This keeps the RF on the inside of the tubing. Next, I fed the coax on the inside of the 2” at the base on one side of the tubing. What this does is - the RF starts on one side and goes in a circle up the tubing like a centrifuge. As it goes up, it gains strength, like added dB. When the RF hits the top of the 2” it is squeezed down and out the inside of the 1/2” tubing. This is like water being put from the hose into a nozzle. This also adds strength to the signal. I call the 1/2” my “RF Accelerator”. The braid of the coax is tied into my metal pump house. I plan on putting in ground rods around the pump house and also tie all the grounds into my water well casing. I think that my antenna has about 43 dB inside the antenna trying to get out. So far, I have worked 2 countries in Europe, New Zealand, South America, the Caribbean, Canada, and the East Coast with 400 watts QRP. If you would like to make one of these antennas, get a hold of Russ. The antenna does work well. P.S.... As you no doubt noticed the antenna leans to the West. This helps me work Japan. Keith asked me to come down and evaluate this monstrosity antenna he built! I was surprised to see such a sleek, trim, nice job. On paper and just by looking, it appeared to be the real thing, making even Cushcraft envious, but the results are what counts! He purports to have worked 5 stations, but 4 were all in Sutter, not world wide, and the 5th was me whistling “Dixie” in my MIC for testing! The SWR is horrible, feeding 99% of the power back into the power lines, making the neighbor’s meters run backwards. One lady told me she hadn’t paid an electric bill in months! ...and he wonders why the pump house is always lit up!! One of the things I would have changed would be to forget about the actual 43’, and bring the whole thing down to resonance with a 55 gallon drum for a top hat. That would bring it down to 7 MHz in only 10 feet tall.